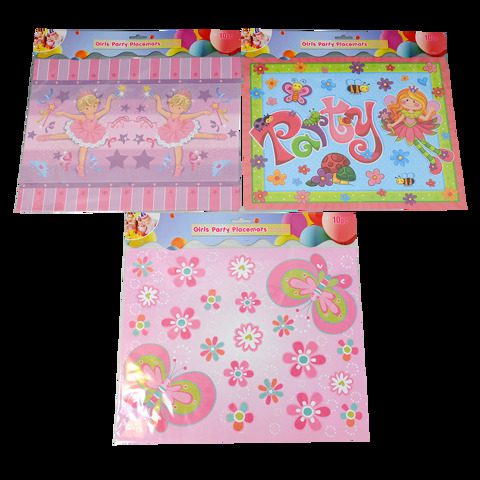 Girls Party Placemats 10Pk 3Asst. 38 x 30cm. Fairy | Butterfly | Ballerina. Paper 80gsm. 80G Packaging: OPP Bag with Header Card.